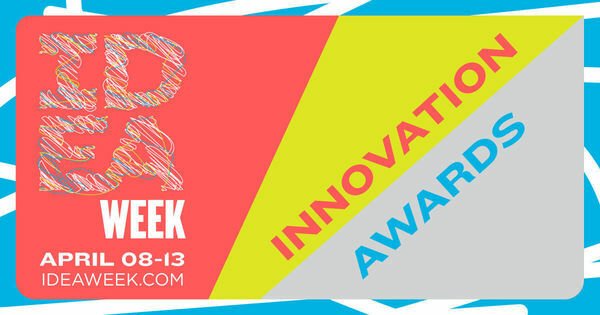 IDEA Week 2019 honored leading South Bend – Elkhart entrepreneurs, inventors and innovative institutions with the inaugural IDEA Week Innovation Awards at a ceremony April 8 at the Palais Royale in downtown South Bend, the kickoff for this year’s events. Tracy Graham, founder and managing principal of Graham Allen Partners, a private equity firm that specializes in technology and technology-enabled companies, won Entrepreneur of the Year and Susan Ford, a director at Graham Allen Partners and president of SEMMA Health, won Female Entrepreneur of the Year. Mitchell Kokko, a six-time entrepreneur and an associate on the Pit Road Fund at the IDEA Center at the University of Notre Dame, won Young Entrepreneur of the Year. Ray Parisi and Bob Metzger, both engineers at Zimmer Biomet, shared Inventor of the Year honors. They also shared the South Bend-Elkhart Top Inventor award, with seven patents each. Other top inventors were Eugene A. Dylewski II with four patents and Kevin V. Keigley with three. The University of Notre Dame was the top South Bend-Elkhart company for patents issued in 2018 with 22, followed by Lippert Components with eight, L.O.F. with five, Truck Accessories Group with four, ABI Attachments and Elkhart Brass Manufacturing Company with three each, and APCI, ASA Electronics, Carved, Emnet, KMC Controls, MORryde International, Shield Restraint Systems and TITAN with two each. IDEA Week is co-hosted by the University of Notre Dame, the South Bend – Elkhart Region and over 30 community organizations and businesses. Originally published by Nick Swisher at ideacenter.nd.edu on April 09, 2019.